www.gitarisklinik.com - Rama Satria Claproth Born in Bandung on May 29, 1983, with the full name of Rama Satria Claproth. His father's name is Richard Claproth, Phd (bloody Indo German). Rama Satria Claproth started learning to play guitar at age 10 years. He also studied guitar on Alpha De Fretes which eventually became his father-in-law. Rama Satria is the eldest of three siblings. When he was 14 years old, he formed a blues band called Jaque Mate, with personnel consisting of: Rama Satria Claproth (guitar / vocals), Arya Claproth (keyboard / bass), and Josua Claproth (drums). Jaque Mate means dead skak, is the name given by their late Spanish blooded mother. he never studied playing his guitar at Berklee College Of Music (Boston - America) by majoring in Hendrix Laboratories. In 2001, Rama Satria and her siblings released their first album in Boston, entitled "Tabasco Women", and it came second only to Eric Clapton at Bandits Blues Radio - America. Their album was able to print sales of 50,000 copies in just a few months. A remarkable musical accomplishment for a newcomer from outside America. In 2004, Rama Satria was invited to perform in Tribute To Les Paul. She has also performed one stage with Band Of Gypsys (last band Jimi Hendrix), then Double Trouble (last band Stevie Ray Vaughan). 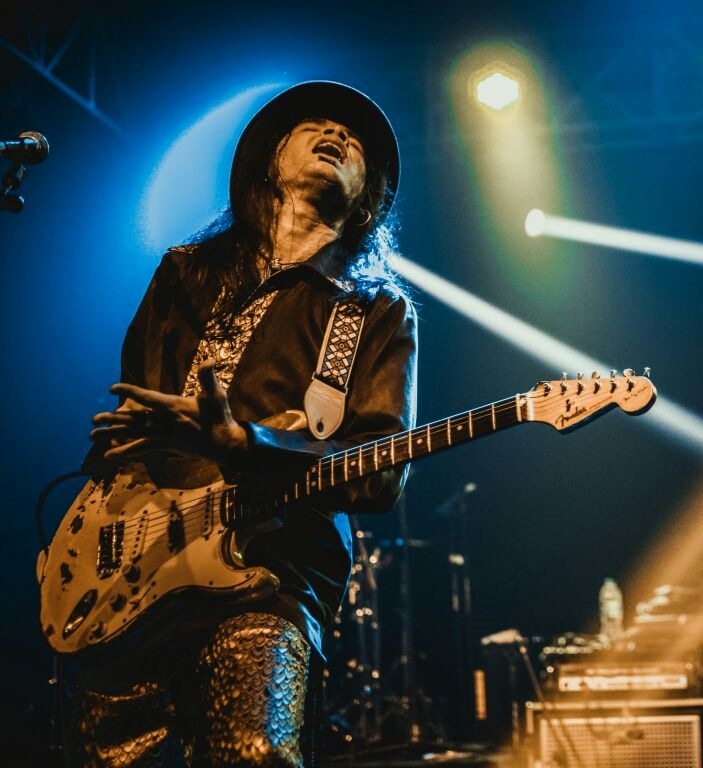 Some great musicians with Rama Satria Claproth, including: BB King, Joe Bonamassa, Johnny Winter, Slash, Lenny Kravitz, Tyler Bryant, and more. One of the prestigious events in the country that participated in the appearance of Rama Satria Claproth is the celebration of 50th Anniversary Fender Stratocaster for several big cities in Indonesia. In 2008 he formed Rama Satria And Electric Mojo, and often performed at various prestigious music events in the country.